B.R. 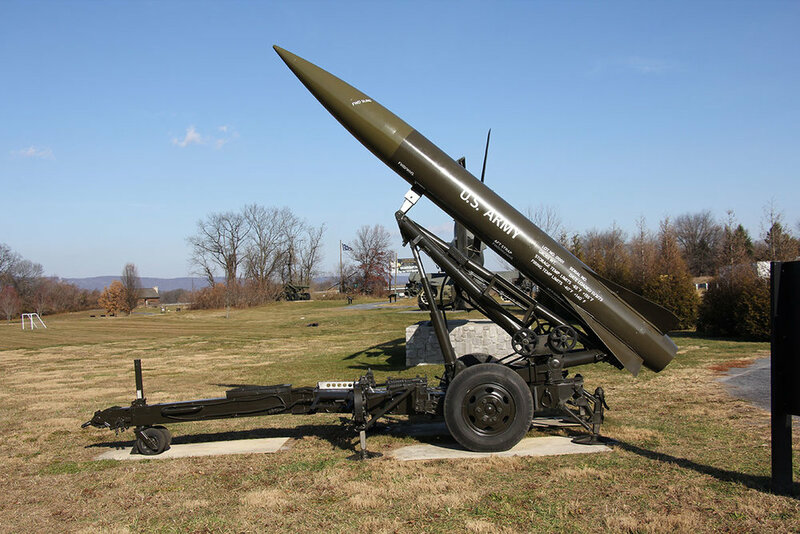 Howard was contracted by the U.S. Army Heritage and Education Center to prepare a Lance Missile and trailer for exhibit on their trail of history. The missile was developed in the 1960s and designed to be a mobile field artillery tactical missile. It was able to support non-nuclear and nuclear warheads and was approved for production in 1970 with the first battalion activated in 1972. The paint coating had badly deteriorated and allowed surfaces to corrode. While the missile had been properly flush and decommissioned, corrosive materials remained on the interior and had slowly eaten through areas of the aluminum. The missile and trailer were transported to our studio for conservation. The missile was removed from the trailer and placed upon a custom designed cradle which allowed us to rotate it and access all surfaces. 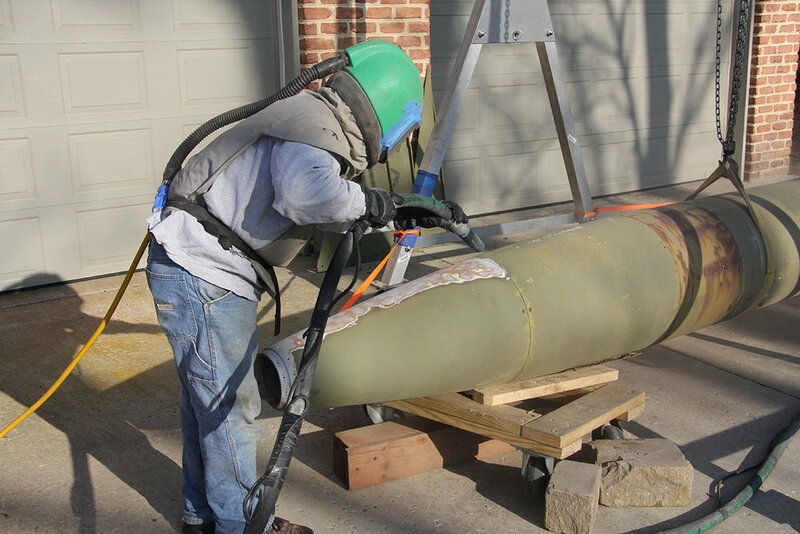 The failed coatings and stencil markings were recorded before the paint was removed with low abrasive blasting. The aluminum section of the missile which had corroded was cut out and removed. The corrosive residue and materials within were neutralized and removed after testing and consulting with Redstone Arsenal. A new curved aluminum panel was fabricated and installed. The missile and trailer were primed and coated with and industrial grade paint before the stencils were reproduced and applied. USAHEC received a full treatment report after the Lance missile was returned and articulated into its launch position.